Traditional storage building with low pitched roof. 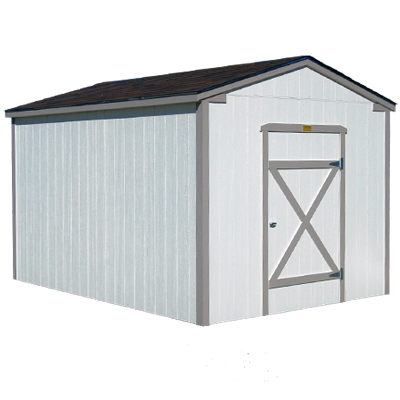 Basic sheds include a single door, one color of paint, and 30-year shingles. Pricing includes standard features. Custom options are available.